The color red just demands attention. Do you think people with bright-red cars have to pay more for insurance because they drive faster? No, it's because the color makes them stand out from the crowd. 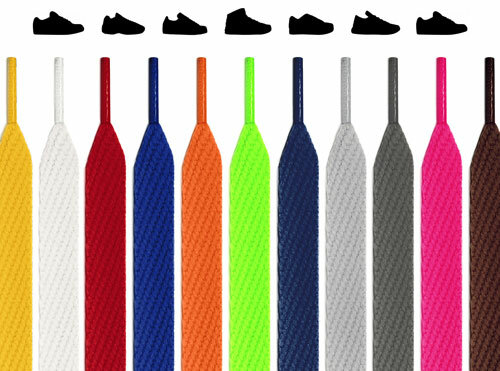 What we're trying to say is: red shoelaces take footwear from zero to a hundred. 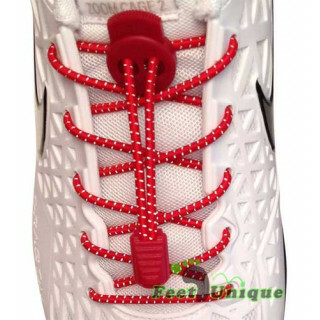 And at FeetUnique, you can find them in every style imaginable, so no matter what your speed, we'll have what you need. 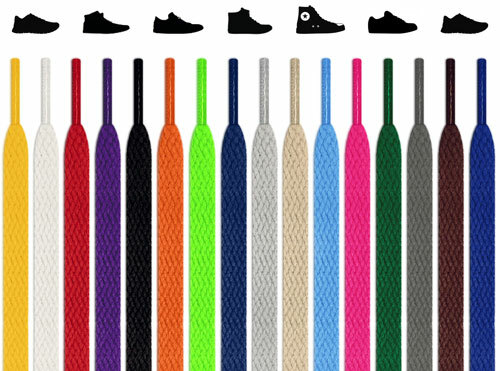 The most common reason to replace an old pair of shoelaces is because the factory pair frayed, dulled, are too short, and so on. Basically, they put the factory in unsatisfactory. 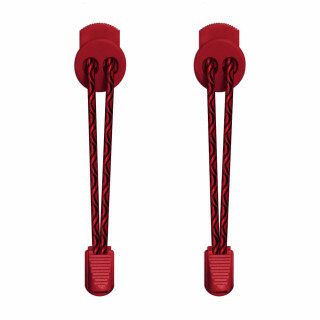 But this is FeetUnique, meaning we believe that red shoelaces can serve a lot more than just utility. 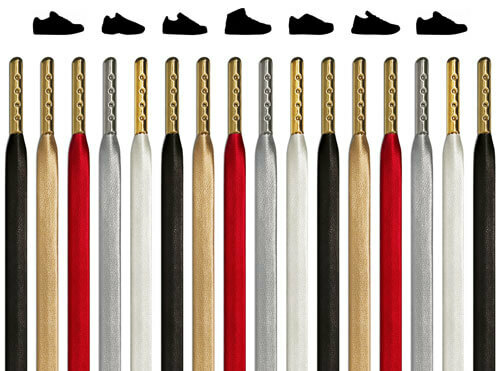 You can upgrade your laces to be stretchier or less stretchy, longer or shorter. 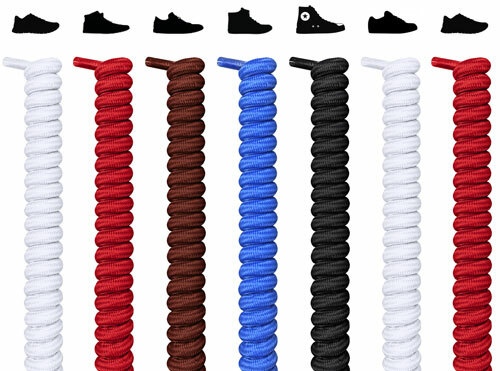 Maybe you want some red elastic no-tie shoelaces to skip a daily routine. 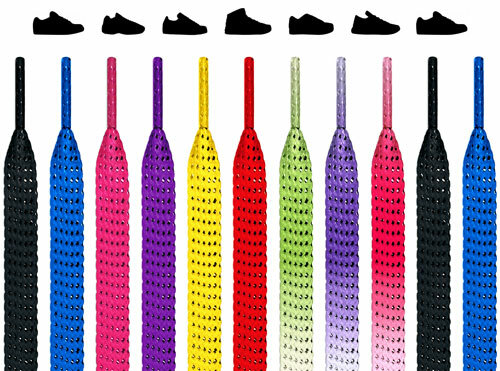 But we like to believe that every customer is grabbing red shoelaces as a fashion statement, throwing those come-with laces in the trash in favor of a pair made out of pride rather than obligation. 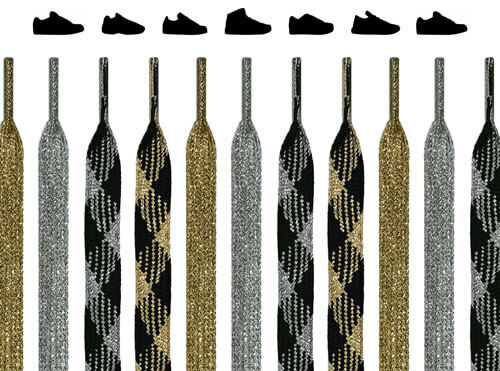 You may have a certain type of shoe you like, you may have a different pair of shoes for every conceivable scenario, and you may have shoes that aren't even shoes at all. 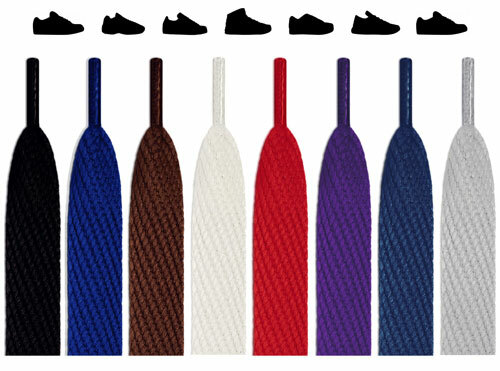 Luckily, we have a selection of red shoelaces that's so big, a physical storefront would need its own zip code. 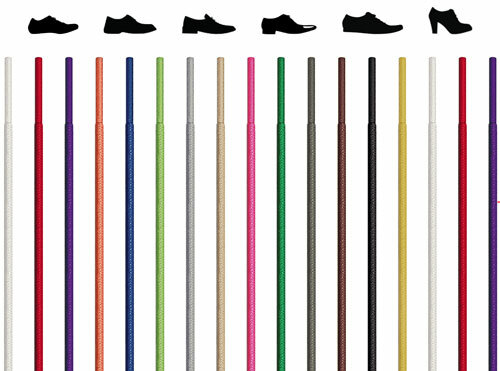 So whether you're looking for dress shoes, sneakers, running shoes, hiking boots, boat shoes, loafers, or some new, revolutionary footwear that’s being invented as you read this, we got you covered. What's more frustrating that getting a pair of red shoelaces that are too short? A pair that's too wide so that you can't even find out if they're too short to begin with. Here, you can rest easy knowing the widths are the standard so they fit into almost all shoe holes (eyelets), and they come in a variety of lengths, from so-long-it-may-be-never-ending to aaaw-look-how-short-and-cute-they-are. 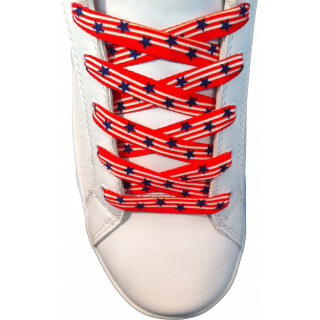 Put simply, you'll love the way your feet look AND feel in red shoelaces, and it's not just because red is the color of sweet, passionate love. 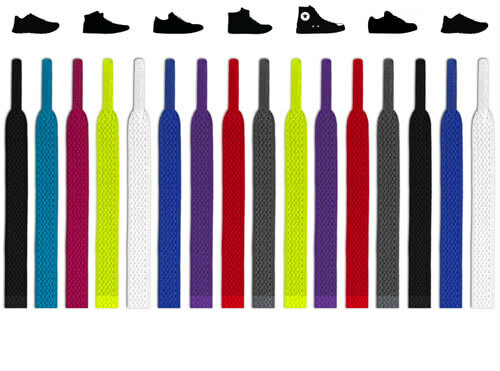 Our collection of red shoelaces covers every type of footwear. That's obvious. 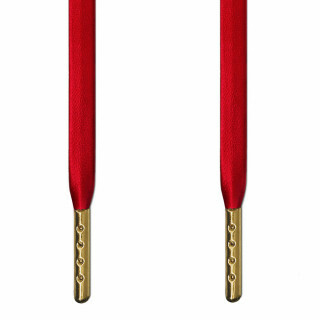 But they also cover something a bit subtler: shades of red. That's right, find dark red, light red, and a shade or two right in the middle. 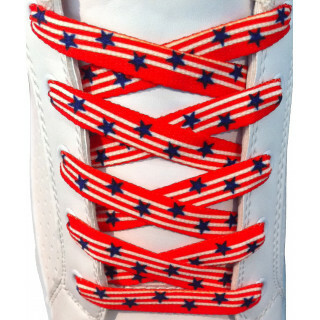 You can even spot some patterned laces, with red being just one of two captivatingly interlocking colors and designs. 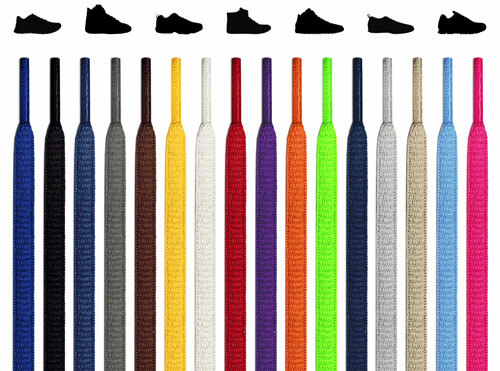 And no matter which color you go with, you'll stay walking around like you're perpetually getting the red-carpet treatment. 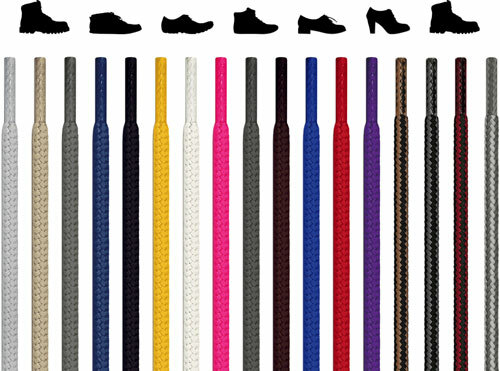 Get the most powerful shoelaces in the most powerful color. 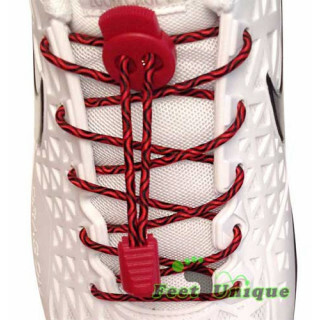 Our red laces aren't just about physical comfort, with their various degrees of stretch and durability, but also mental comfort, with a friction-focused design that ensures your red shoelaces never come untied. Look good, feel right, feel tight. 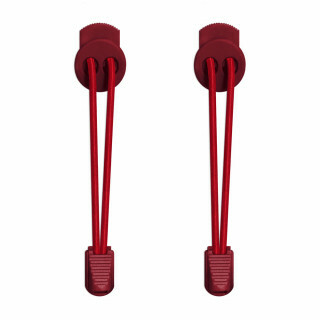 Treat the world by treating yourself to one of our beautiful pairs of red shoelaces, all of which are environmentally friendly. But it's not just a coincidence: we make 'em that way. And we may talk a big talk, but we also walk the walk: our OEKO-TEX® Standard 100 certification proves our eco-conscientiousness. Learn more here.